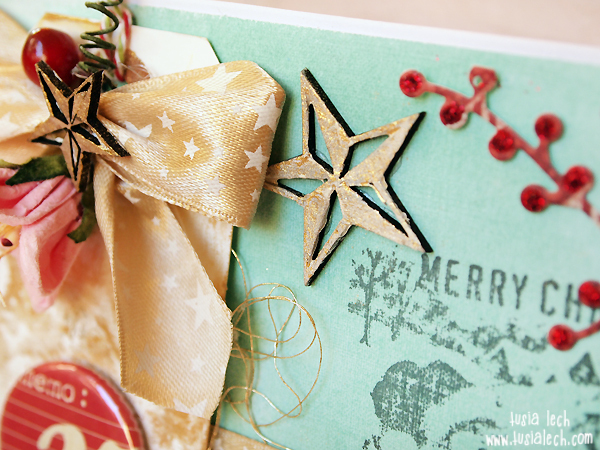 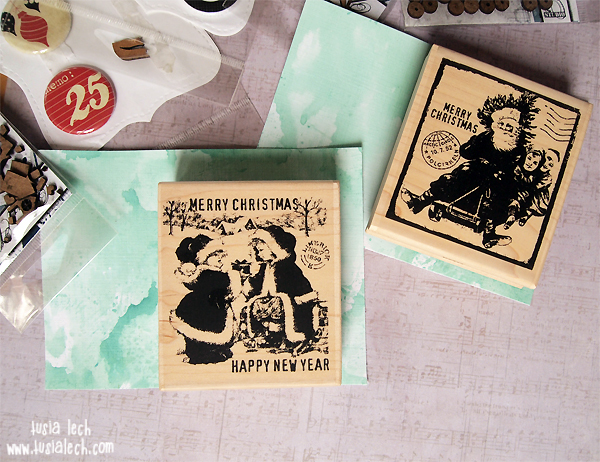 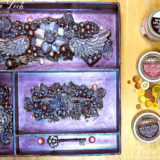 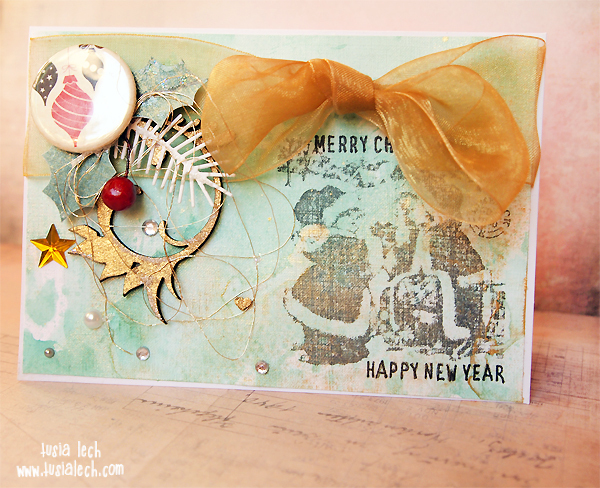 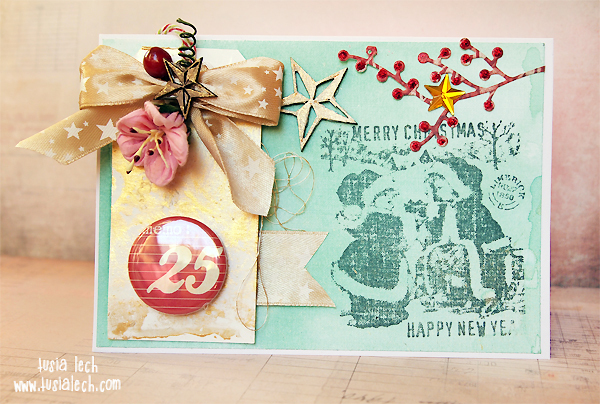 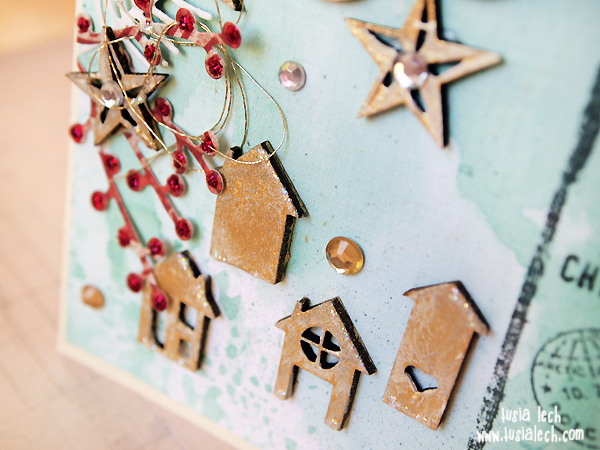 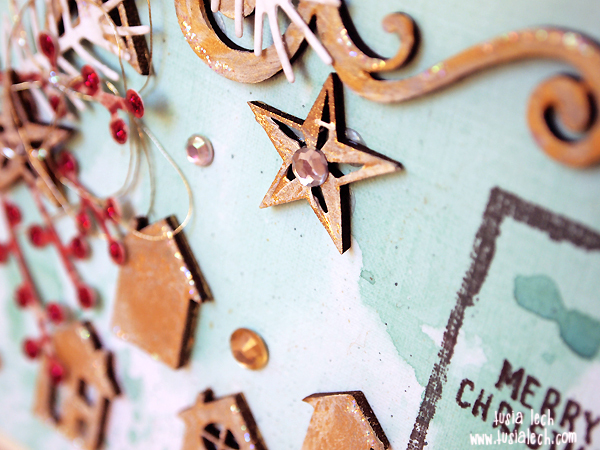 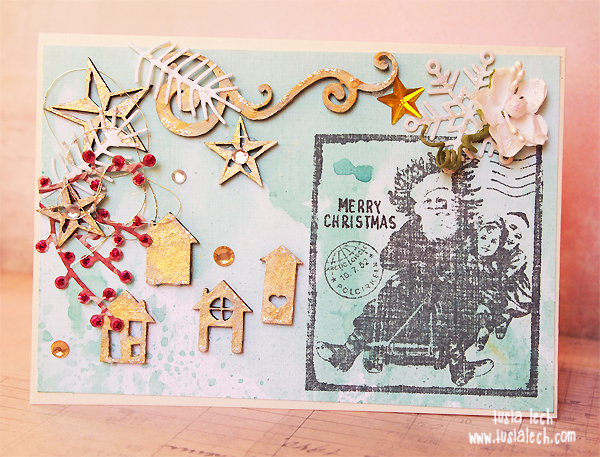 Today I would like to show you 3 Xmas cards, I created using UmWowStudio chipboard and flairs. 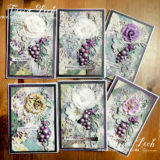 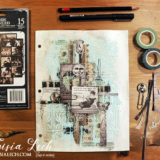 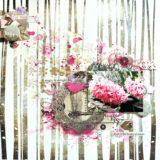 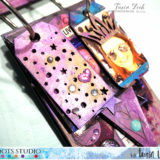 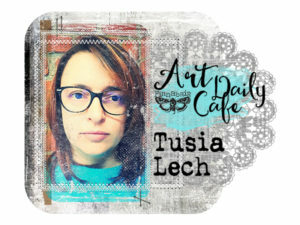 All cards were created on white cardstock – below you can see first few steps. 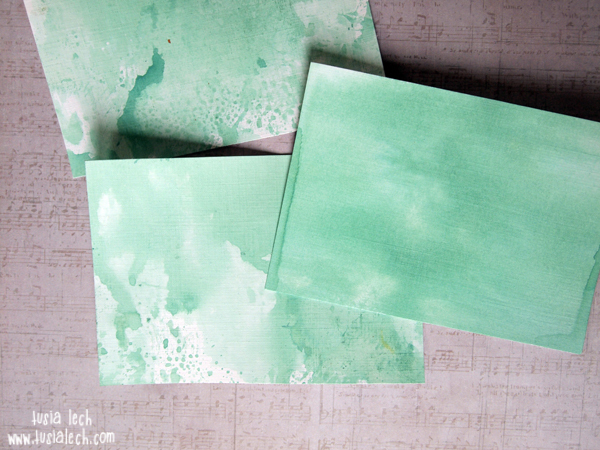 I cut 3 rectangles from white cardstock and sprayed them with Lindy’s Stamp Gang spray and water. 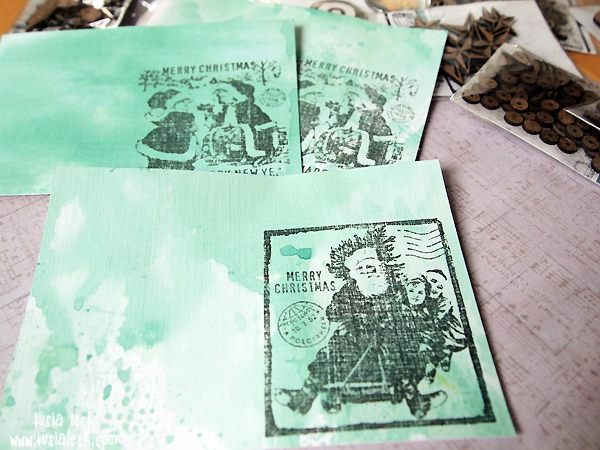 When it dried, I stamped some Christmas images. 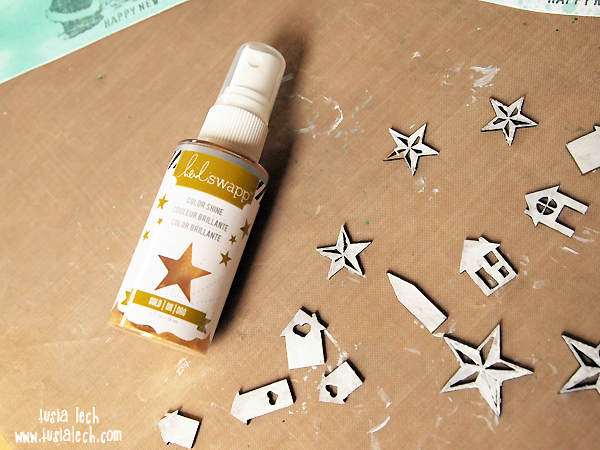 Than I gathered UmWowStudio products, I planned to use. 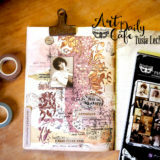 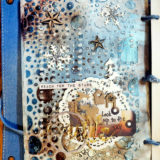 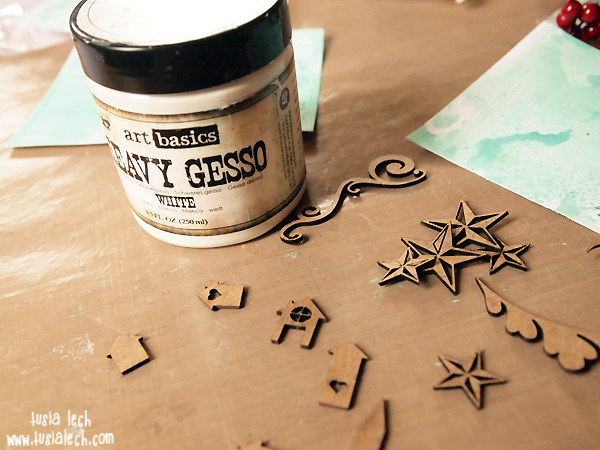 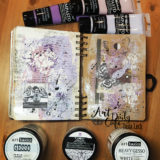 I began with covering all needed elements with white heavy gesso (Finnabair). 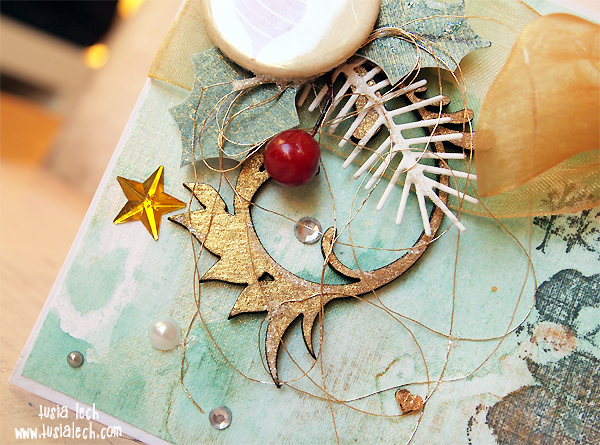 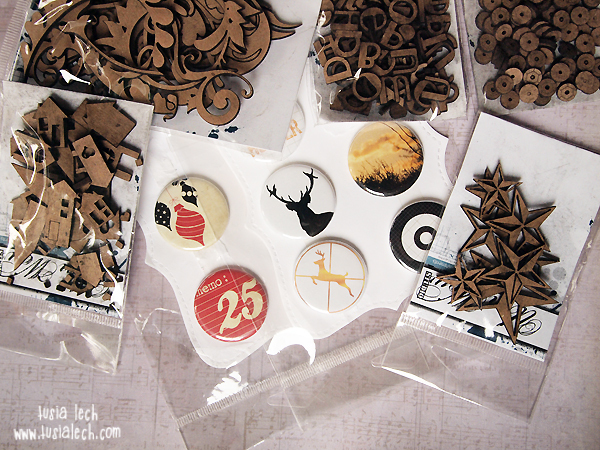 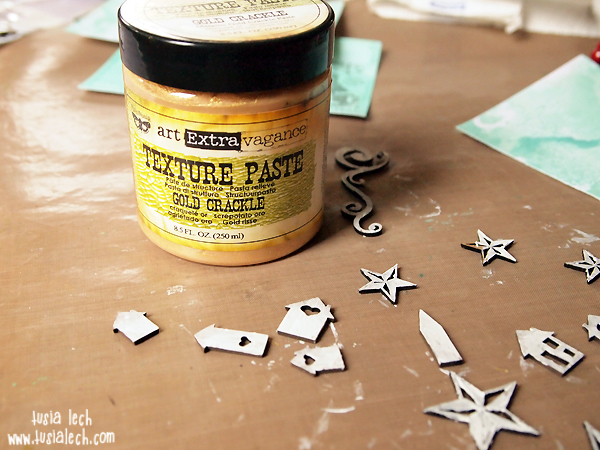 … and some of the elements I misted with golden Color Shine. 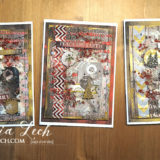 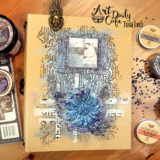 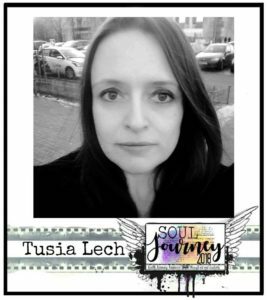 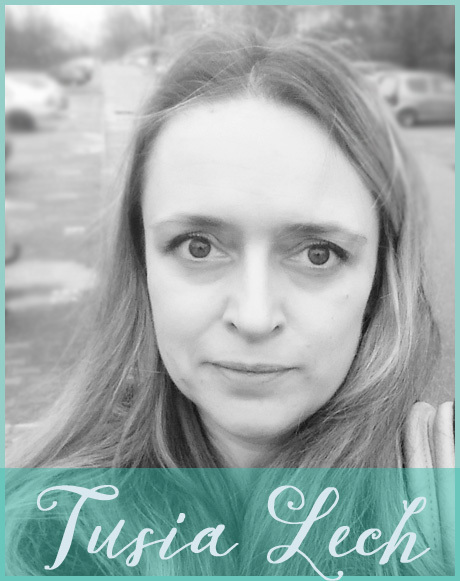 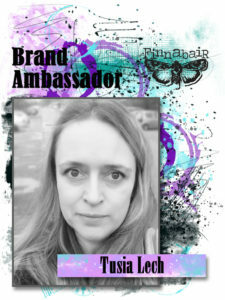 Than I began to put all elements together – the result of my creative process is three cards – you can see them below.